It is my understanding that the Muller investigation was limited to only determining if there was collusion between members of the Trump campaign and “officials of the Russian government”. This was to narrow a limit. What about collusion between members of the Trump campaign, simply with “people” from Russia, Azerbaijan, Kazakstan, Azerbaijan, Georgia, Belarus, Estonia, Latvia, and Ukraine that had close connections to officials of the Russian government, (that were not necessarily “government officials”). A much bigger and broader question that should have been asked. Think people are underestimating what Mueller could do. Again, there is no evidence to date that he was prohibited from going wherever he felt necessary. That said, it was appropriate for him to stay within tasked boundaries. His tasking was to investigate a certain area, not to go Trump fishing. OK to delete this comment. I always thought several meant more than 3. 3 was “a few”. Merriam-Webster, Oxford, and Collins online dictionaries all say several means more than two, but not “many”. Um, you mean the report that won’t even be released for another two days? That report?? Come on man. Normally, I have nothing to say about negators, but I’m in a BAD MOOD, “Lie More,” and you aren’t helping. No punctuation or capitalization. Misspelling. ALL CAPS! No incorrect grammar or syntax (a plus), but a lot of unnecessary, ignorant criticism. If not for Barr’s clumsy efforts to clear Trump and slime those who investigated him, I’d say this looks like a well-orchestrated handoff to various offices in DOJ/FBI that can’t be easily interfered with or attacked by Trump. But Barr is the boss of DOJ and FBI. It seems he could quietly and effectively interfere with anything – we would never know. Unless – things start happening, like prosecutors removing themselves from investigations….like Jeanine Rhee? Heh, so these issues basically got an IRS Form 4868 extension for six months until October 15, 2019? How appropriate for an April 15 tax day. Is there a symbol for that? OK. Sorry must have missed the first request. Does PeteT work? That gentleman wears “honed-rimmed” glasses, speaks in tongues, and treats the Congress and the public with utter contempt. We are in for stormy times at Casa La Barr. We need a whistleblower to blow this cover-up-up. Until we draw this inside straight, I remain certain that Thursday will bring tears to my eyes. So what does “investigation” or “matter” refer to in this context? Are those terms being used in a consistent way? Or put another way, how many “matters” and “investigations” did Mueller handle? Is the answer just one? This quote makes it clear to me that these redactions will include anything referring to trump and family. EW will be able to gather info by reading the tea leaves, but his intention has been stated clearly. Hoping Dems have a plan to counter another round of “I’ve been exonerated”! They have already stated Trump will not be redacted. Family is less clear. Your faith in the rule of law is remarkable. 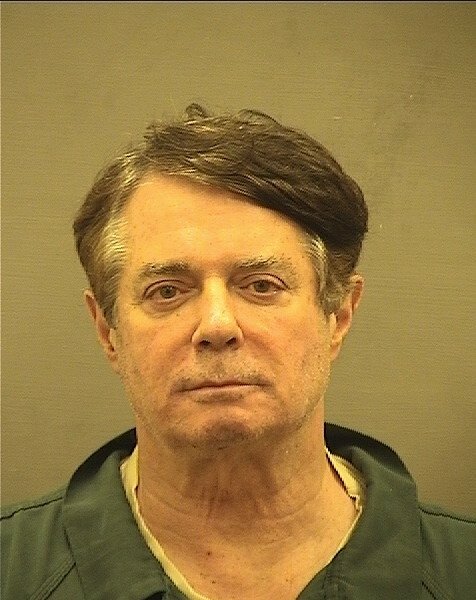 Manafort will be pardoned in the middle of November 2020. The Mueller results will dribble out in a way that Barr has arranged. His sentence will be commuted, not pardoned. I thought we learned this trick after Scooter Libby’s conviction. At which point he’ll (hopefully) be released into the custody of US Marshalls in order to be delivered to NY State detention pending trial since he’s a flight risk. Let’s hope the NYS case is ready to meet him then. You’re including Trump in that we? One would think so, but he has such a negative learning curve and seems to relish not following good advice. The phrase I keep not seeing in the matters still under investigation is “Cambridge Analytica.” I have a difficult time believing that the institution alleged  to have transmitted data necessary for microtargeting of voters to Russia is not under scrutiny. It seems pretty likely  that Trump supplied voter data to Cambridge, which added Facebook profile information to make messages particularly effective. It’s especially puzzling that Alexander Nix of CA approached Wikileaks, which seems to have been the contact with the Russians, unless he was simultaneously working as an agent for the Russians. And then there’s the question: On who’s suggestion? My take is that CA largely was a scam that didn’t do much of substance and will probably turn out to be a big red herring. Not to say they aren’t guilty of things like privacy violations and regulatory violations, but I suspect it will turn out they were basically grifters who had nothing to do with the Russians. Do you have basis for this opinion? The sources I supplied present an allegation that CA data was accessed in Russia and that a senior member of CA for some unfathomable reason had contacts with Wikileaks. So, sure, it could be perfectly innocent, just as Donald Trump’s alleged celebration of Stone’s contact with Wikileaks could be perfectly innocent. But maybe the matter should be reviewed by a competent body like, say, SDNY or Congress. I would accept the idea of Cambridge Analytica as a political red herring in the Trump-Russia dual campaigns for Trump’s election except that the company, headed by US-based SCL Group, funded primarily by conservative GOP donors Robert and Rebekah Mercer, CA’s parent owner, with Steve Bannon, a principal board member, was hardly a well-known data mining and anlysis firm when it was first contacted in by sanctioned Russian oil company, Lukoil. Back then, that less than well-know oil producer, owner of 113 US-operated Getty Oil gas stations, reached out to CA to help deliver some unusual company research: how to best target American voters for political not commercial purposes, for an election two years hence. The head researcher of CA was actually a Russian professor residing in St. Petersburg, the same city locale of the Internet Research Agency, aka IRA, identified in the Mueller indictment as the troll center operation of Putin’s foreign political disinformation campaign. And what about Lukeoil’s principal owner? He wasn’t so much a Putin plutocrat, as a go-along oligarch who was more than happy to support the Russian Federation president’s ongoing plans to disrupt Hillary Clinton’s likely run for office in 2016 and promote the success of her would-be challenger, whom it had already focused its electoral interest. The conquer and divide campaign messaging that CA was consulted about and which would ultimately be used by both the Trump and Russian troll farm operation were essentially the same, up to and including the Trump rally mantra chants of “Build the Wall,” and “Drain the Swamp,” which CA officials would late brag in acknowledgement were first introduced not long after their consult with Lukeoil. CA was hardly a major force in the commercial world or Trump election effort until August 2016 when any number of developments brought it’s campaign work and connections front and center. First, Roger Stone supposedly left the campaign. Then, Manafort and Gates were outed by news reports of their past pro-Russian Ukrainian political influence peddling, forcing them to allegedly quit leadership of Trump’s campaign. And then, for the second time since Trump had become the GOP presidential nominee, the campaign was informed by federal authorities that Russia was actively interfering in the election. On the same weekend that reports first surfaced in the NY Times that Manafort’s name had appeared in political payment ledgers linking him to pro-Russian backing of Ukraine’s former president, the Times also reported along with Vanity Fair that during a fundraiser soiree at Johnson & Johnson heir, Woody Johnson’s Long Island summer home, Rebekah Mercer had encouraged Trump to boost his flagging campaign by hiring Steve Bannon and KellyAnn Conway to run his political messaging and takeover its operation. This meeting and Mercer’s proposal would later be heralded as the key political stroke that helped lead to Trump’s narrow electoral college victory at a time when Trump seemed most vulnerable. The Gates, Manafort polling data hand-off occurred on or about two weeks before that event. The party occurred on Aug. 14, 2016. Manafort left the campaign as chairman on Aug. 19 according to most timeline reports. So, it’s not like one decision fueled the other. It was just good political cover. In fact, CA was already working on behalf of the Trump campaign, but in deep background. If you believe all these characters and their connections, and all of the known interactions were unrelated, then you must believe the Barr summary of Mueller’s report. Because his summary is the only red herring you can plainly identify based on past record and pattern of behavior. Thanks for the detail on Lukoil, dwfreeman. Your post makes me wonder all the more why we haven’t heard a peep about CA in reference to the Mueller investigation. Poor Paul. He’s the designated tar baby in this now. These officials should quit working for Trump. If telling the truth to federal investigators – every citizen’s duty, failing to do it is a felony – makes you afraid of your boss, you have the wrong boss. Working for him is enabling his lies, destruction and potential crimes. An obvious question is why does Donald Trump get so angry – meaning afraid – when anyone around him tells the truth? One would think that only the mentally ill and lifelong criminals behave that way. In less than 48 hours, Rip Van Winkle will awaken from his long, long, long nap and tell us what really happened in the Russian investigation. Nope. He will open up one eye, provide us with color coded tabs, and fall back to sleep. …So this is the way he settles Johnson’s famously controversial senatorial election victory over Gov. Coke Stevenson by 87 votes in 1948. The imbroglio of gossip in the Rio Grande Valley, of different-colored ballots and court rulings, had led to a federal investigation finally closed by a Supreme Court justice in Washington with orders that it never be reopened. That wasn’t good enough for Caro. Nearly 40 years later he tried to find Luis Salas, a big bruiser of a deputy sheriff who had once killed a man in a barroom brawl. Salas was the election judge who, under oath, had certified 200 disputed votes for Johnson in the notorious Ballot Box 13. But Salas was nowhere to be found. He was said to be living in Mexico. Caro was able to stop looking in March 1986. He knocked on the door of a mobile home near Houston, and the frail old man of 84 who answered was only too pleased to fish out from a trunk a 94-page history titled “Box 13,” which described how he had switched votes from Stevenson to Johnson. He was proud of deceiving everyone. “We put L. B. Johnson as senator for Texas, and this position opened the road to reach the presidency.” From the NY Time Book Review on Caro’s latest book. Yep – and also withdrew from the mystery appellant case. Weird. My guess is that the Mueller investigation is playing out the way it has because he’s been told by Rosenstein and Barr to shut it down. I’d bet they also provided the definition of Russian gov’t to exclude Wikileaks and Kilimnik, and the definition of campaign to exclude Stone, and Manafort once he was no longer officially campaign manager. And the rush to conclusion due to orders from Rosenstein and Barr resulted in a failure to fully put the screws to Stone; without Stone and Manafort, there’s no direct way to get to Trump absent counterintelligence evidence. Hi there. And your claims are based on exactly what?? Because some of us here have been attuned to this story for two years or more. What is your basis? Please put it up. Do tell. Sorry, but I agree with Citizen. Now Mueller and the core attorneys and the staff are looking for an indirect avenue to get some or all of the report out. A case about a Motion to Quash which surges upward in the Federal Courts is the most likely way for the report to end up in the hands of a federal judge or USSupCt justice willing to risk impeachment. The White House will defy Congress. The DOJ won’t release the report until all reasonable appeals are exhausted and even then it will not be officially disclosed. And that is despite sworn testimony by both Whitaker and Barr that Mueller was never told no, eh? Whitaker is a dope, but Barr is not. It is unlikely he testified falsely. They didn’t give Mueller orders. “It would be problematic” “We prefer” “Credible resolution” “don’t cause a crisis” are all code. I have accepted the facts and rationales set out by EW (and the other excellent bloggers and most of the commentators here). Based solely on those facts – the ones highlighted by EW – I don’t understand how a criminal conspiracy can’t be found, unless the necessary terms were defined narrowly, and/or unless Manafort’s and Stone’s stonewalling prevented the development of admissible evidence (in which case Mueller should not have been rushed). We haven’t heard Rosenstein say he did not limit Mueller in these ways. I assume, maybe incorrectly, that Barr and Rosenstein can justify (to themselves, or to an objective factfinder) responding to questions in ways which are technically correct but substantially deceptive, like most lawyers. By the way, I do not comment much but I welcome this opportunity here to say that you guys run the most informative, in-depth regular expression of proper analysis of this investigation which exists anywhere. You all should be proud of the public service you are providing on a daily basis. I think you have it all pretty much right with that comment. Perhaps I misunderstood initially; if so, sorry. Not that any of us know for sure….we have to go with what we can and have gleaned. I am not sure tomorrow is going to bring certainty as opposed to just more questions, for what it is worth. Who read yesterday’s WaPo – Harry Litman piece Congress Could Get the Unredacted Mueller Report – Here’s How ? I am NAL, but it made a good bit of sense to me. Especially having read all of the doomsaying lately over how the MR (and all the supporting info) will be consigned to a safe somewhere under Barr’s lock and key never to be read by any of us great unwashed. I hope Litman’s right and that it really is a possibility just based on the seemingly plain language and legal gameplan he described. I like Litman a lot; he is pretty good. Here though, I think he is a bit vague and, maybe, slightly wrong. Litman is not wrong to say that HJC should seek the report in full. He is wrong, though, that HJC is the point of the legislative spear. I have been pointing out for nearly two weeks where the tip of that spear is, and it is in HPSCI under Rule 6(e)(3)(D). Straight Dope. Thanks for the link and the wisdom bmaz. This thread has heated up. Collusion is not the issue. Assistance and substantive co-operation, non disclosure to the FBI, gushers of corrupt foreign money, are what will be blacked out. Collusion isn’t the issue anyway. Conspiracy is. Conspiracy and Obstruction of justice by someone who has turned out to be way more dangerous than I ever dreamed he would be. I agree about the foreign money. IAL (although not a PL), and I found Litman’s piece and legal reasoning extremely persuasive, on the law and the Constitutional underpinnings, which provides Congress with broad oversight powers . and duties, underlying our system, relying on checks and balances. Bottom line—Barr et al are on very shaky grounds concealing this from Congress.